It’s Thursday November 29, 2018 and this is your weekly early morning Esports briefing. For additional longer-form esports news plus jobs, a team directory, glossary, calendar and data, check out our new esports hub updated daily: http://cynopsisesports.com. MLG locked in talent for CWL Vegas, running Dec. 7-9 out of Hard Rock Las Vegas, confirming casters that include Maven, Merk, Benson, Momo and Chance, with analysts Katie Bedford, Nameless and Pacman. 100 Thieves, Luminosity Gaming, FaZe Clan, and Splyce are set as the top seeds of each pool. ESL also announced the launch of the US National Championship, a program dedicated to highlighting the best CS:GO players in the nation. Premiering in early December with season one, ESL, in partnership with ESEA, will offer programming divided between two weekly shows: Basecamp and The Ascent. Basecamp will run weekly on Mondays, hosted and casted by Mark “boq” Wilson, showcasing live matches and gameplay of the best Rank G games of the week. The Ascent will be broadcast on Fridays, and offer the week’s best plays, biggest leaderboard jumps, most interesting stats, clutch moments, and interviews from the players who are all vying for their share of more than $150,000 in global prizes. Shows kick off Friday, December 7 immediately after the Mountain Dew Global Challenge Day 1 at approximately 9:30p. Major League Soccer and EA SPORTS are shoring up plans for eMLS, unveiling an expanded schedule that will feature 22 MLS clubs in the 2019 season that will be integrated into the competitive ecosystem, with Atlanta United, D.C. United and FC Cincinnati joining the competition for the first time as players compete to represent their club at the 2019 eMLS Cup, presented by PlayStation. The competitive infrastructure will expand to include the inaugural eMLS League Series, comprising two events: eMLS League Series One, hosted in conjunction with the LA Galaxy in January, and eMLS League Series Two with FC Dallas in February. Each of these events will include participation from all eMLS professional FIFA players and will result in their own distinct prizing opportunities. eMLS player performance across the two eMLS League Series events will determine seeding for the 2019 eMLS Cup. ELEAGUE revs up for The ELEAGUE Cup: Rocket League 2018, pitting eight of the top Rocket League teams in the world from Nov. 30-Dec. 2, beginning each day at 2p on Twitch and ELEAGUE.com. The org will then package its most exciting plays and stories in a series of episodes running Fridays starting Dec. 7 at 11p. Analysts Caleb “WavePunk” Simmons, Michael “Achieves” Williams and Adam “Lawler” Thornton will return to ELEAGUE after commentating last year’s tournament, while Joey “Jorby” Ahrens and James “Jamesbot” Villar will make their ELEAGUE debut. Alex “Machine” Richardson hosts. As part of the presentation, ELEAGUE will integrate augmented reality into both the live digital coverage and TBS series, resulting in Rocket League cars “appearing” on the stage throughout the production. 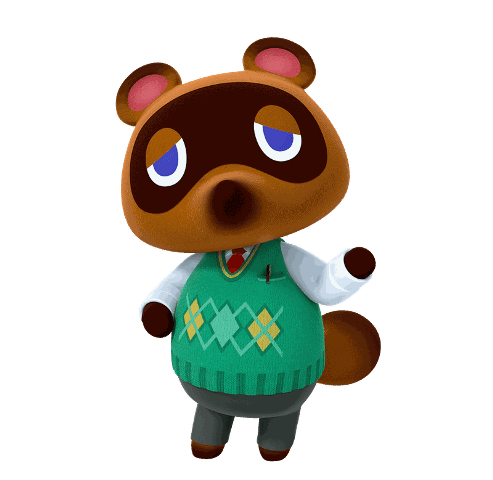 Nintendo unveiled plans to organize a Japan East and Japan West League that will showcase Super Smash Bros Ultimate in 2019. Play will serve as part of a tournament series for the upcoming title that will be known as the Smash Ball Cup. 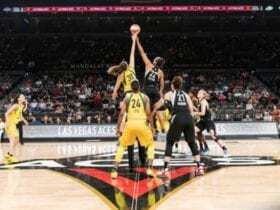 The West League will be located in Osaka while the East League will be located in Tokyo. On Twitch, esports are more popular than sports: Over the past seven weeks, TNF has generated an avg ccv of 23.8K. The Overwatch League avg ccv (108.3K) was 128% greater than TNF’s avg ccv. Football Fans are an engaged audience: Viewers of TNF have sent 116.9K chat messages since the start of the season; that’s an average of 16.7K messages a game. 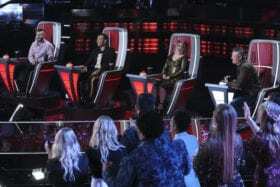 Viewership is increasing: Although TNF’s peak ccv occurred during the inaugural broadcast, peak ccv has increased by 61% from Oct. 11th to Nov. 15th. For more insights, analysis, infographics and more, visit: blog.streamhatchet.com. 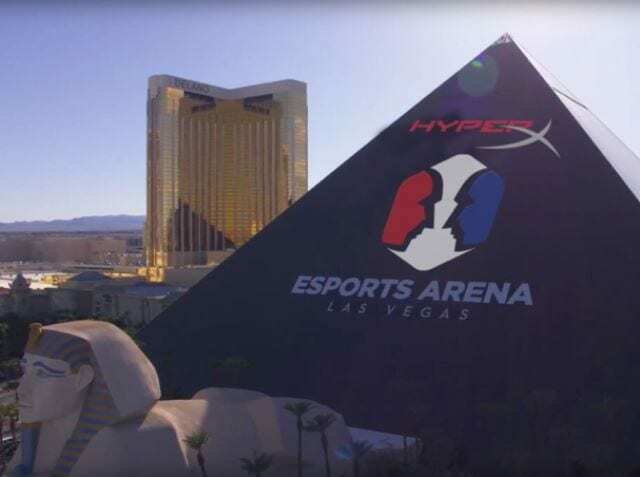 Allied Esports announced a deal with HyperX for an exclusive naming rights partnership and multiyear agreement that will see Allied Esports’ flagship property, located at the Luxor Hotel & Casino, renamed as the HyperX Esports Arena Las Vegas. The partnership comprises co-branded experiences and events that will include unique opportunities with HyperX’s personalities, esports athletes and influencers; co-branded content and collateral in-venue, online and on social platforms; marketing, promotion and product activations; and a prominent retail presence in Las Vegas. HyperX Esports Arena Las Vegas branding will be integrated across all social media platforms starting today. As part of the partnership, HyperX will be sponsoring events at HyperX Esports Arena Las Vegas from Jan. 9-12 during CES. Esports Stadium Arlington announced that NVIDIA will become the official graphics platform of the venue, which opens as the largest dedicated esports facility in North America. As a founding member, NVIDIA brings high-end graphics cards and NVIDIA G-SYNC technology to enhance the gaming experience for gamers in this state-of-the-art facility. NVIDIA. PlayStation will officially return as the Fiesta Bowl title sponsor as part of a multi-year agreement with ESPN. This year’s PlayStation Fiesta Bowl will be played on Jan. 1 at 1p at State Farm Stadium in Glendale. The category-exclusive deal secures PlayStation as the official gaming and virtual reality sponsor for the College Football Playoff and its New Year’s Six Bowl games. ESPN will once again collaborate with PlayStation on multimedia content integrations across ESPN programming, featuring PlayStation brand messaging “Greatness Awaits” to drive anticipation for both the bowl and regular seasons. PlayStation and the Fiesta Bowl organization are also engaged in a partnership, in which PlayStation integrates into game week activities. Razer and Williams Esports, part of the world-famous Williams Formula 1 team, announced a strategic partnership that will see Team Razer and Williams Esports join forces in multiple areas of racing esports. This marks the first collaboration from Team Razer with a professional Formula 1 esports team and will see both Team Razer and Williams F1 Esports working together on future initiatives and activities, including the development of innovative technology solutions such as Hypersense, to give drivers greater immersion and situational awareness in both training and competition. The Call of Duty World League‘s new season will see the org sport a new partner, with ASUS signing on to provide the official monitors for all CWL events as play gears up. Previously, ZOWIE’s BenQ monitors had been the official monitors for CWL. All 2019 CWL LAN events will now feature the ASUS VG245H . Razer also signed on to serve as the official esports partner of the 2019 Southeast Asian Games, an eleven-country international sporting event where esports will be recognized as a medal sport for the first time in history. “The Philippines is the first host country for this tournament. This lends credence to professional gaming as a true world-class sporting contest, as it engages a new generation of gaming fans,” said Alan Peter Cayetano, PhilSGOC Chairman. “Razer is a pioneer and a prime mover in esports, and we cannot ask for a better partner in this historic journey,” he added. Global esports organization Gen.G announced a sponsorship agreement with SIDIZ, Korea’s top chair manufacturer. Through the partnership, SIDIZ is providing gaming chairs to Gen.G teams who train at Seoul HQ — Seoul Dynasty, LoL, PUBG, Heroes of the Storm and Overwatch Contenders. Riot Games made its changes to the League of Legends European Championship official, announcing the 10 franchised teams that will take part in the new season as well as a rebranding of the event. 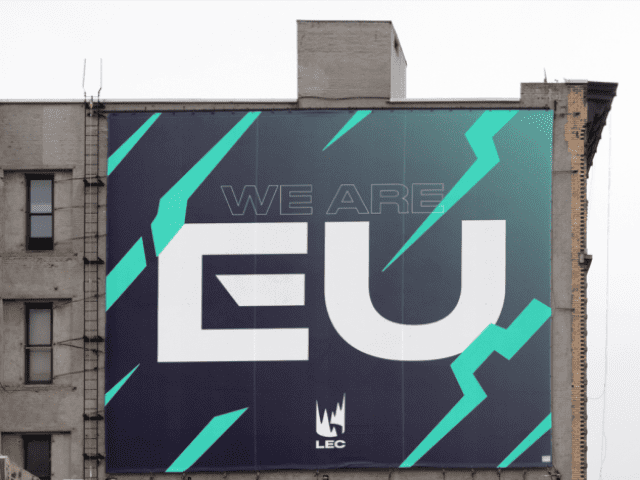 The league will now be known as the LEC instead of the EU LCS, complete with a new logo. Taking part in the league will be 10 teams who locked in agreements to buy a slot, blending new and old squads across Europe – Fnatic, Schalke 04, G2 Esports, Misfits Gaming, Origen, Excel Esports, Rogue, SK Gaming, Splyce and Team Vitality. The LEC will formally kick off on Jan. 18. OverActive Media Group Inc. is going all in on Splyce, announcing that the company is taking ownership of the long-time esports operation, which includes more than seven international esports teams, including the newly-awarded franchise in the League of Legends European Championship as well as more than 40 team operations, marketing and content staff. The addition of Splyce and the LEC franchise alongside ownership of the Toronto Defiant of the Overwatch League and leading team organizations across Call of Duty, Rocket League, Smite, Paladins, Halo and Starcraft II consolidates OAM into a leading global esports brand joining Cloud9, Optic Gaming and Misfits as the only esports organizations in the world with permanent slots in both League of Legends and the Overwatch League. After being accepted into the LEC, Team Vitality announced that it had locked in around $22.7 million in financing led by entrepreneur Tej Kohli. The investment will be used to develop “state-of-the-art facilities,” as well as a store, office, and training centers. SPORT1 announced plans to launch the first esports channel in the German-speaking countries – eSPORTS1. The network will go on air on Jan. 24 as the first linear TV channel for esports in Germany, Austria and Switzerland. The pay-TV station will initially be distributed via the platforms of Vodafone Deutschland, Deutsche Telekom, Unitymedia, 1&1, T-Mobile Austria, A1 Telekom, UPC Schweiz and Zattoo and offer at least 1,200 live hours of premium national and international esports events next year as well as highlight formats and self-produced magazine shows. FIFA and EA SPORTS unveiled the FIFA 19 Global Series Rankings, which will serve as a dedicated world rankings platform for its esports players that will allow players and fans to monitor the progress of the world’s top competitive FIFA players throughout the season on the Road to the FIFA eWorld Cup. The new FIFA 19 Global Series Rankings will be updated on FIFA.gg every Tuesday after Weekend League and competitive events within the Global Series, providing fans with an interactive platform to monitor the progress of the top FUT Champions verified FIFA 19 players around the world. PlayVS reeled in $30.5 million in a Series B funding round, led by Elysian Park Ventures, the investment arm of the Los Angeles Dodgers. 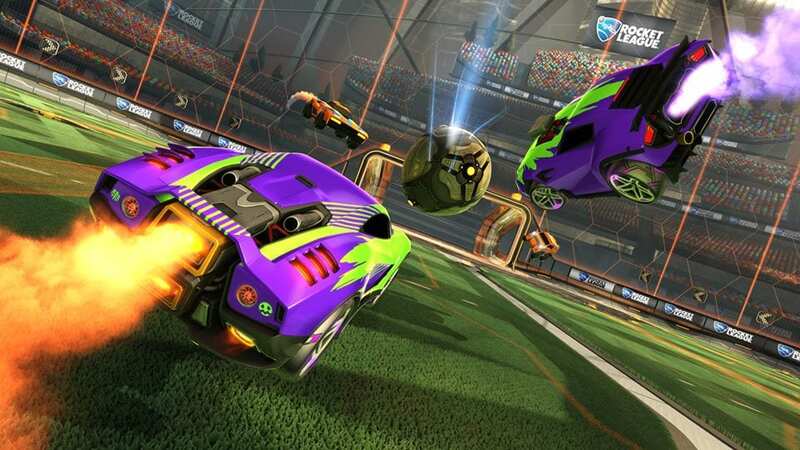 The American high school esports tournament organizer also partnered with Psyonix and Hi-Rez Studios in order to feature Rocket League and SMITE into its inaugural season alongside Riot Games’ League of Legends. Overall, five existing investors were involved in the funding round, alongside new investors: adidas, Samsung NEXT, Plexo Capital, Sean “Diddy” Combs, David Drummond, Rahul Mehta, Rich Dennis, Michael Dubin, Nat Turner, and Johnny Hou. The inaugural season of the initiative kicks off in February 2019. Steam officially has a vertical in China, with the launch of Steam China in partnership with Perfect World. DreamHack Atlanta played host to tens of thousands of esports fans and multiple tournaments including 2018’s Hi-Rez Expo (HRX). In previous years, HRX was held as a separate event, catering to die-hard fans of Hi-Rez titles like Smite, Paladins, and Hand of Gods. This shift from a standalone event to teaming with organizer DreamHack was likely made to introduce HRX to a wider field, while still satisfying their original audience. 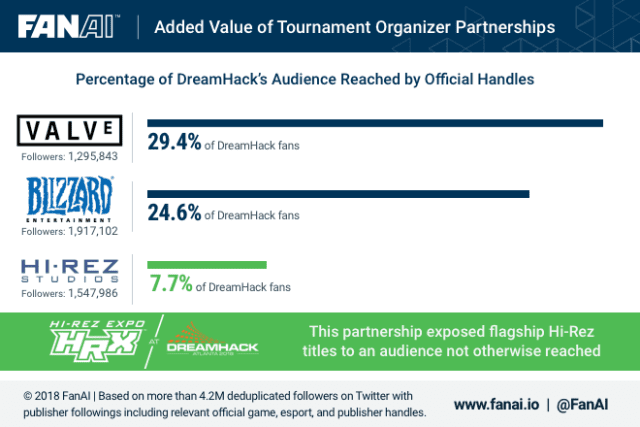 To quantify the potential impact of this partnership, FanAI compared the common followers between DreamHack and three publishers represented at the event. In addition to Hi-Rez, this study also looked at Valve and Blizzard, whose titles are strongly associated with DreamHack. Hi-Rez reached only 7.7% of DreamHack’s followers, far less crossover when compared to the larger percentages of DreamHack’s long-time partners Blizzard and Valve. This suggests that Hi-Rez titles were exposed to a potentially untapped audience through their participation at DreamHack Atlanta, showing the value of creating new partnerships for large scale events. Meanwhile, Fortnite has now topped the 200 million mark for registered users, according to Bloomberg. That number is up 60% since Epic Games’ last report in June, which was at 125 million. 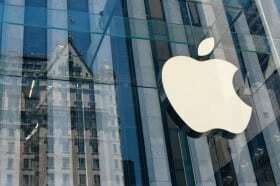 A trio of familiar faces are teaming up to launch Electronic Sports Group, a global esports advisory firm, that will be anchored by MLG co-founder Mike Sepso and former NBA and IMG executive Bobby Sharma with Ken Hershman, former President of HBO Sports, and former Executive Chairman and Commissioner of the World Esports Association also serving as a partner. ESG will open with a strategic relationship with Nielsen in place to provide ESG with esports fan insights and sponsorship valuation data to support ESG’s consulting work. In addition, ESG announced a strategic partnership with Sports Media Advisors (SMA) as the two firms plan to jointly advise clients seeking media and esports expertise. Former OpTic Gaming faces Simon Bennett and Markel Lee announced the launch of AoE Creative, described as “the first independent, full spectrum, creative and marketing agency specializing in esports, gaming, and nerd culture.” Bennett previously worked as Blizzard Entertainment, Razer, FACEIT, Houston Outlaws, Wargaming.net, and OpTic Gaming, while Lee’s background includes Evil Geniuses, OpTic Gaming, Houston Outlaws, KIT, EVO, CEO, Panda X Gaming, and PVP Live. The agency will offer design, creative, and branding solutions, as well marketing strategies and fan activations to organizations within the gaming, nerd culture, and esports space. AoE’s first confirmed clients will be Linden Labs / Sansar Studios, who have created virtual spaces for both Fnatic (Fnatic Meta Bunker) and OpTic Gaming (Greenwall VR), as well as Boston Uprising. ON THIS DAY in 2016: Final Fantasy XV is released. Ensure quality of related assets by maintaining responsibility over your work throughout the project’s development. Participates in projects requested by game development teams or internally to facilitate improvements to production processes and/or infrastructure. Design and implement systems and tools to support rendering needs. Create original concept art that will represent the in-game user interface. Strong relational database fundamentals, hands-on experience with non-relational/NoSQL alternatives. Analyzes software requirements to determine feasibility of designs, timelines and completion schedules for product releases. Develop and maintain new and existing systems for managing memory and streaming. Comfortable working closely with designers on the implementation of gameplay systems. 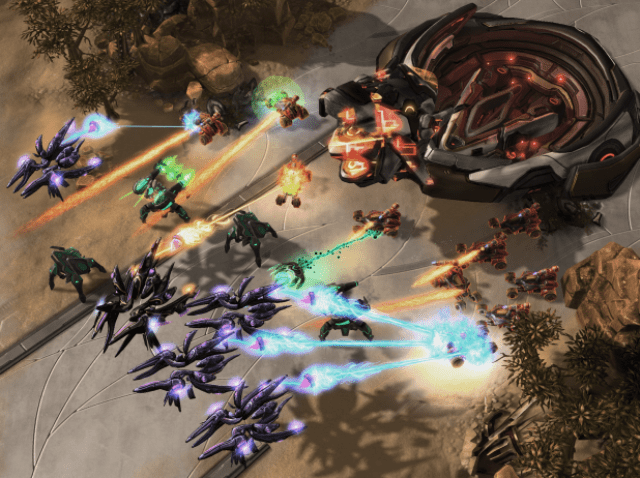 Take primary responsibility and ownership for the game’s ranged combat systems including the creation of gameplay mechanics, tuning, and balance. Collaborates with Team Leadership on priorities, features, scheduling, and executing to expectations. Personnel management of Associate Product Marketing and Product Marketing managers. Confidence in ability to give presentations across varying audiences, both internally and externally. Set goals, work towards completing them, keep the team apprised of your progress, and show off what you’ve accomplished. Analyze data, build automated reports, and work with the Analytics team to make informed business decisions.